Have you ever wanted to start your own business, but didn't know where to begin? Did you think it might be too expensive, too time consuming, or did you worry that you simply didn't have the right skills? Have you been trying to think of a business idea, but couldn't really think of anything you wanted to do? If so, you're in luck. The Sales for Profit business might be exactly what you've been looking for. 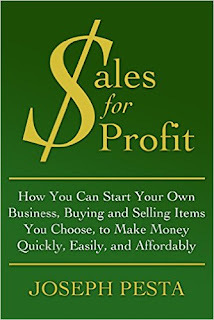 With Sales for Profit, you'll learn how you can start your own business quickly and easily, with little to no money. No gimmicks. No nonsense. This book will take you every step of the way, showing you how you can begin your new business in no time at all, and how you can grow that business into one you can enjoy and be proud of. In this book you'll find that building a sales for profit business of your own can be tailored specifically to you, to meet your needs. You can start your business as big or small as you want it to be. You can work at your business and make money on your own schedule, and you can set up your business to be run from just about anywhere you choose. You can also automate your business, and let it make money for you while you travel or while you sleep. The possibilities are endless. All you have to do is get started. You'll learn how to find items you can easily sell for a profit, how to turn a hobby into a steady source of income, where to find money to fund your business if you need to, and much, much more. 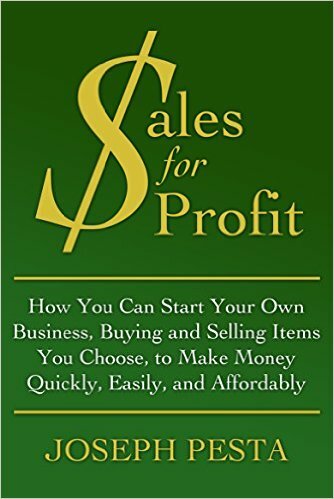 Sales for Profit will be your guidebook, showing you how you can be your own boss, and work at something you'll love to do. Don't hold off any longer. With Sales for Profit, the dream of starting a business of your very own can begin right now. You just have to take that first step. Why wait? Get started now!